Connecting across boundaries, partnerships inspire innovation . . .
Below we identify allied organizations (mostly private, nongovernmental) that are either service centers or alliances bridging multiple states, and that offer help in protecting important environmental resources. ​American Forest Foundation (www.forestfoundation.org ) unites and informs owners of privately held forestlands to keep forests healthy and to educate the next generation to be prepared for conserving and protecting America's forests and ecological resources. AFF believes that family forest owners --the largest group of forestland holders in the U.S. (22 million families own nearly 282 million acres of forestland nationwide)--are key to protecting the values and benefits coming from well-managed forests. AFF supplies helpful guidance to private forestland owners and operates a FREE web-based resource for forestland owners who want to apply good forest, land, water, and wildlife conservation practices on their property. AFF also promotes Project Learning Tree and other youth environmental education programs. American Rivers (www.AmericanRivers.org) is a national river conservation and public policy advocacy organization with staff positioned across the South. It works to restore healthy rivers, ensure clean drinking water supplies, revitalize fish and other aquatic wildlife habitats, improve water-based recreation, lead local campaigns to clean waterways, identify America's most endangered rivers, improve community flood protection, create river "blue trails," save remaining wild, scenic and free-flowing rivers, remove unnecessary dams, and leave a legacy of healthy rivers for future generations. Four of the 10 most endangered rivers currently identified by American Rivers are located in the southern U.S.: the Holston River (VA/TN), Harpeth River (TN), Edisto River (SC), and Pearl River (MS). The nonprofit Appalachian Trail Conservancy and the National Park Service are focused on conserving the broader landscapes of the Appalachian Mountains associated with the iconic Appalachian Trail. Although the AT footpath, stretching 2,000 miles from Georgia to Maine, is protected, many sections of its buffer are only 1,000 feet wide or less. This new effort would protect the broader ecological, cultural, and visual landscapes, conserving a treasured recreational experience, connecting the cultures of the eastern United States, north and south, and providing a critical ecological corridor while we still have time. Read more. The Appalachian Trail Landscape Partnership received a major 2018 grant to work with communities to protect the lands, waters, and unique cultural features of the landscapes surrounding the Appalachian National Scenic Trail. Read about the grant and learn more about the new Partnership in this video . A partnership of over 90 agencies and nonprofits fosters collaborative action to conserve natural and cultural landscapes and safeguard a healthy environment and economy in the Chesapeake Bay Watershed. Partners work together across the watershed in 6 states and the District of Columbia to conserve and restore the health, heritage, natural assets, and economic value of this national treasure. The coalition has developed a shared conservation vision and priority system for the watershed. Read more here. The Forest Stewardship Guild's southeastern US program coordinator is located in Asheville, NC. Read more here. Land Trust Alliance (www.landtrustalliance.org) promotes voluntary land conservation nationwide and works with more than 1,100 nonprofit, local, and regional member land conservation organizations (including nearly 200 operating in the southern states) by providing them with information, skills development, and resources needed to conserve land and connect more people to the land. The Land Trust Alliance wants to make land conservation relevant to more people; increase the rate of land conservation; empower land trusts to be more resilient to challenges; and make land conservation programs as rigorous as possible. Network for Landscape Conservation is an alliance of interests to conserve important natural and cultural landscapes. Its website and e/newsletters are fine resources to learn more about landscape conservation across North America, the broad diversity of landscapes, issues, and people involved, as well as challenges, successes, and other stories on the land. Landscape conservation is about listening to other people...about sparking genuine collaboration that builds trust and civility...about leveraging the explosion of data and science...about capturing the stories of the land and its people. The Network for Landscape Conservation just issued a new report: Pathways Forward: Progress and Priorities in Landscape Conservation. Successful approaches in landscape-scale conservation highlighted in the report from the southern states include the Chesapeake Bay watershed, Florida Wildlife Corridor, and Southern Appalachian and Southern Cumberland Plateau. What is the current state of landscape conservation? What can we do together and in our own landscapes to shape this essential practice and ensure a healthy, sustainable future for people and all of nature? The report provides an in-depth look at five important landscape conservation topics: collaboration, communications/engagement, science-based planning, funding/finance, and policy. It includes recent innovations, on-the-ground examples, and action-oriented strategies. Each chapter closes with a set of five-year aspirational benchmarks. Partnership for Gulf Coast Land Conservation. This coalition of 23 nonprofit land conservation partner groups focused on environmental resource protection in the coastal region of the five states along the Gulf of Mexico was organized by the Land Trust Alliance in May 2011 with the hiring of two project co-coordinators - Elizabeth Barber and Julia Weaver. Over the past seven years, the partner organizations of the Gulf Partnership have increased the pace, quality, and permanence of land and water conservation across the region. The Gulf Partnership provides matching grants to its partner organizations through a Project Assistance Fund. As of spring 2018, partners have invested $226,000 in Project Assistance Funds to attract $53 million in land conservation investments, protecting more than 20,000 acres of coastal habitat. See a more extensive description on the Featured Partnership sidebar of this web page. The Gulf Partnership's recently improved WEBSITE makes it easier for anyone interested in protecting land and water resources in the Gulf Coast region to learn about the coalition's capacity building, communications, and advocacy programs. River Network (www.rivernetwork.org) is a national river conservation organization, with staff throughout the South, which serves as a champion for clean and ample water, with the goal to protect and restore rivers and life-sustaining waters across America. It builds coalitions, organizational strength, and leadership among 2,000 local partner groups working to protect rivers and watersheds nationwide. The River Network's "2016 Trends Report on Our Water Our Future" includes important information about the diversity of the river and watershed community in the United States. The report stresses the need for river and watershed protection efforts to reflect the interests and the diversity of the communities being served. River Network recognizes that climate change is impacting rivers and the human communities living on rivers. River protection groups are partnering with vulnerable communities to reduce risks, build resiliency, and cope and adapt with flooding and other negative impacts. Read more here. (www.southeastaquatics.net) focuses on issues concerning management of threatened aquatic resources in the region (34 percent of fish species and 90 percent of native mussel species in the southeastern U.S. are designated as endangered, threatened, or of special concern). SARP was founded for purposes of being a catalyst and partnering with others to protect, conserve, and restore aquatic resources and habitats in 14 states. The 500-Year Forest Foundation (www.500yearforest.org ) is a Virginia-focused model that can be adopted by other forestland conservation organizations across the region interested in expanding landowner recognition and assistance programs. This nonprofit group provides a combination of technical and financial assistance to private owners of older-growth forests to assist them with forest stewardship and eradication of invasive plants. The Foundation enters into management cooperative agreements with owners of old-growth forests under permanent conservation easements and uses private grant funds to provide annual matching grants to member forest owners. The Foundation also encourages "forests as laboratories" projects and works in collaboration with teams of volunteers, consultants, independent contractors, and interns. US Endowment for Forestry and Communities (www.usendowment.org ) is a nonprofit, private organization based in Greenville, SC, dedicated to advancing the health, sustainability, and vitality of the nation's working forests and forest-reliant communities. The Endowment maintains the National Conservation Easement Database (www.conservationeasement.us )--a comprehensive overview of nearly 120,000 easements covering over 30 million acres nationwide. Waterkeeper Alliance (www.waterkeeper.org ) is a worldwide alliance of over 240 affiliate local waterkeeper organizations (sometimes known as riverkeepers or baykeepers), including more than 50 in the southern U.S. The Alliance is dedicated to protecting water quality through science, community organizing, and legal defense. Water Protection Network (www.waterprotectionnetwork.org ) is a national coalition of over 240 organizations working to ensure that the nation's federal water projects and policies are environmentally and economically sound. The Network is managed by the National Wildlife Federation, and establishes a collaborative voice for reforming national water policies and to influence federally sponsored projects and permits at the local level. WPN offers its member groups a free weekly e-newsletter and eligibility for assistance grants. A working group of the Association of Fish and Wildlife Agencies, which represents North America’s state fish and wildlife agencies, in March 2018 released a white paper on landscape conservation collaboration. The report identifies key challenges and lessons learned for landscape conservation, and emerged from the AFWA working group that was convened to examine existing landscape partnerships and their governance structures, commonalities of success, approaches, partner roles and other attributes. READ MORE in this summary from the bi-monthly Landscape Conservation Bulletin. ​Discover Life In America (www.dlia.org) is a science and environmental education nonprofit organization focused on the ecosystems and biodiversity (estimated between 60-80,000 species of life) in the Great Smoky Mountains National Park and surrounding areas. It supports the All Taxa Biodiversity Inventory research project, and hopes to expand this first-of-its-kind comprehensive, long-term biodiversity inventory to other biodiversity "hotspots." NatureServe (www.natureserve.org) represents a network of over 80 public and private natural heritage programs across the U.S. and leads efforts to provide scientific information, data and maps, tools and expertise to guide effective conservation actions and land use decisions to protect native animals, plants, and habitats. NatureServe is principal manager of the LandScope public database and tool for ecosystem-based conservation planning. It produces the NatureServe Explorer, an online encyclopedia of life, which includes data and maps of exemplary natural communities and habitats of rare and endangered species. Southeastern Partners in Plant Conservation is a collaboration intended to bring together government agencies, land managers, botanical gardens, university programs, and botanical experts to inform each other on best practices and topics relevant to rare plant conservation and to form a cohesive network of resources to support regional efforts for at-risk and listed plant species in the southeastern U.S. A meeting in Atlanta in the fall of 2016 assembled 160 people from 22 states, the U.S. Virgin Islands, and Puerto Rico, and representatives from many public and private conservation organizations from across the Southeast. A meeting summary and indexed recordings of the presentations is available at the SePPCon WEBSITE, hosted by the Atlanta Botanical Garden. US Fish and Wildlife Service invites you to become a reader of its new Fish and Wildlife News online magazine. Read About how the Service is creating a more Connected Constituency. Wetland Forests protection initiative (www.wetlandforests.org ) is in the formative stage and focuses on raising public awareness and increasing the scale and coordination of efforts to protect more of the threatened forests in the river bottomlands and wetland areas of the southern U.S. This coalition is being organized by the Dogwood Alliance, and its mission is to conserve, restore, and improve southern wetland forests through science-backed actions, diverse partnerships, and citizen and landowner engagement. The Wildlands Network (wildlandsnetwork.org/ ) pursues the vision of establishing four major corridors of protected and restored natural habitats connecting across the North American continent. This science-based solution is proposed in strategic response to what many recognize as the largely human-caused Sixth Great Extinction currently occurring. Its focus now is on devising the Western and Eastern Wildways corridors, including a connected system of conserved land linking 16 essential ecological core areas from Quebec, Canada, down the Appalachian mountains, on to restored and protected longleaf pine forests and coastal ecosystems in NC-SC-GA, and linking on to the eastern Gulf Coast and Florida Everglades. Wildlands Network also advocates for restoration of top carnivores to native ecosystems. Landscape Conservation Cooperatives (www.lccnetwork.org ) recently suffered budget curtailment by the US Dept. of the Interior. The Landscape Conservation Cooperativeswere established in 2010 and were intended to be a network of 22 cooperatives established that spanned all of North America and US island territories in the Caribbean and Pacific Ocean [seven cooperatives were in the southern U.S]. They were dedicated to building partnerships for large landscape-scale conservation strategies and solutions. But in recent federal budget cycles, the US Fish and Wildlife Service determined it would no longer provide dedicated staff or funding for LCC operations. This decision affected the entire LCC Network, but LCCs have responded in different ways. For example, the South Atlantic LCC continues to exist as an interagency partnership endeavor. The Gulf Coast Prairie LCC has disbanded, and the Gulf Coastal Plains and Ozarks, and Peninsular Florida LCCs have suspended operations. 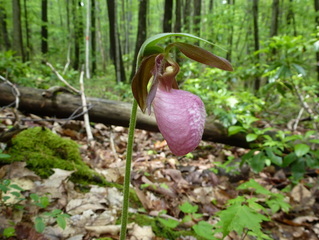 The shared goal of the Landscape Conservation Cooperatives was to apply collective science and management approaches focused on critical conservation issues, including habitat conservation and restoration for imperiled species, connecting aquatic habitats, climate change resiliency and adaptation to sea level rise, balancing energy development with natural resource conservation, reducing negative water quality impacts on the Gulf of Mexico, conserving urban natural habitats, and connecting people with nature. All LCCs have been devising Conservation Blueprints for prioritizing and conserving natural and cultural resources. See the South Atlantic Landscape Cooperative's Conservation Planning Atlas and the Gulf Coast/Ozarks Landscape Cooperative Conservation Planning Atlas and GCPO LCC Legacy Report 2010-2017. Build capacity for large landscape conservation at various scales and across sectors. Link existing and emerging large landscape conservation initiatives. Improve the policy framework to promote and support large landscape conservation initiatives. The Network offers an online learning platform for building and sharing knowledge on large landscape conservation, a primer on large landscape conservation, and an exchange program among practitioners.To learn more about the Landscape Conservation Cooperatives, consult its website and read the National Academy of Science report A Review of the Landscape Conservation Cooperatives. Living Landscape Observer (livinglandscapeobserver.net ) provides commentary and information on emerging fields of large landscape-scale conservation, historic preservation, and sustainable community development. The "living landscape" approach emphasizes preservation of a sense of place. See also the Alliance for Historic Landscape Preservation. Partnerships between land trusts and their communities are going to be critical in the years ahead. Climate change is likely to exacerbate weather extremes, causing more frequent and higher intensity hurricanes, floods, and wildfires. In the Southeast and elsewhere, land trusts respond proactively to the effects of natural disasters and in mitigating their impacts. Here are some examples . . . . In the heart of the Southern Blue Ridge Mountains in western North Carolina lies the Upper Little Tennessee and Hiwassee River Valleys: Mainspring Conservation Trust’s service area. Five great mountain ranges tower over broad valleys, sheltering magnificent forests, extraordinarily diverse species, and farmlands that have provided food for human residents for thousands of years. This land tells many stories. Stories that include temple mounds and historic village sites of the Cherokee Indians and their predecessors, American Revolution battle sites, and stories of the tragic Cherokee removal on the Trail of Tears in 1838. Stories of American naturalist William Bartram’s 18th century botanical observations of the area. Stories of survival, families, and community. Mainspring’s mission is to preserve the natural and cultural heritage of this landscape. Recognizing the connection between Native Americans, European settlers, and our modern world, Mainspring leads initiatives to support the reuse of historic buildings and to preserve farmland and historic sites as well as many extraordinarily beautiful and ecologically diverse natural areas. These accomplishments are founded on community partnerships and engagement. READ MORE. The Chesapeake Conservation Partnership. The Partnership and its diverse members are working to ensure that landscape conservation is an important component of the Chesapeake Bay's cleanup and healthy future: conserving land, innovating science and technology planning tools, increasing public access, preserving cultural heritage, and sustaining local economies. Kentucky Natural Lands Trust (KNLT) and the U.S. Fish and Wildlife Service’s Kentucky Ecological Services field office in 2008 worked together to establish the Imperiled Bat Conservation Fund (IBCF), one of the most unique and innovative partnerships in the nation. Since its inception, the IBCF has generated and invested over $36,000,000 in land acquisition, stewardship, research, and other activities. The fund uses a combination of grant, mitigation, and federal discretionary funding to focus resources on bat, forest, and at-risk terrestrial species conservation in Kentucky. It was initially created to provide recovery-focused conservation for the federally endangered Indiana bat, but more recently, funding has been directed toward landscape-scale efforts that will benefit Indiana bats and the recently listed Northern long-eared bat through continued acquisition and protection of forested bat habitat, habitat management and improvement, and focused research and monitoring efforts. READ MORE. A partnership between Swan Conservation Trust (SCT)--a local, volunteer-led land trust--and Tennessee Parks and Greenways Foundation (TennGreen)--a statewide, accredited land trust--has resulted in permanent protection for more than 1,300 acres on the Western Highland Rim of Tennessee. Aware of the unique wetland and riparian habitats and dramatic natural beauty in the headwaters region of Big Swan Creek (Lewis County, TN), local volunteers launched SCT in the 1990s to safeguard the natural heritage, water quality and biodiversity of the area. Two decades of land acquisitions culminated in 2017 with a conservation easement agreement with TennGreen on the Big Swan Headwaters Preserve. READ MORE HERE and HERE. A good model for conservation partnerships on a local scale is the Chatham Conservation Partnership, which has been working to create a community conservation vision that builds awareness, protection, and stewardship of one county's natural resources. The Partnership's "Comprehensive Conservation Plan" helps with decisions about land protection and development in Chatham County, NC, and is the first plan of its kind in the state. READ MORE. Dramatic changes affecting the Southeastern United States — such as urbanization, competition for water resources, extreme weather events, sea-level rise, and climate change — pose unprecedented challenges for sustaining our natural and cultural resources. However, they also offer an opportunity to unite the conservation community around a shared, long-term vision for the future. SECAS is that vision. Through SECAS, diverse partners are working together to design and achieve a connected network of lands and waters that supports thriving fish and wildlife populations and improved quality of life for people across the Southeastern United States and the Caribbean. Together, federal, state, nonprofit and private organizations are coordinating their conservation actions and investments to achieve a common goal: a 10% or greater improvement in the health, function, and connectivity of southeastern ecosystems by 2060. SECAS was initiated by states of the Southeastern Association of Fish & Wildlife Agencies and the federal Southeast Natural Resource Leaders Group with support from Southeast and Caribbean Landscape Conservation Cooperatives (LCCs) and the Southeast Aquatic Resources Partnership. The primary product of SECAS is the Southeast Conservation Blueprint. The Blueprint stitches together smaller subregional plans into one unifying map that identifies important areas for conservation and restoration — a living spatial plan to make the SECAS vision a reality. More than 130 people from over 50 organizations have used or are using the Blueprint in their work. See SECAS in Action story map to learn how the Blueprint is making a difference! Many (16 of 49) of the congressionally designated National Heritage Areas are located in the southern region of the U.S. Each area has been designated and authorized by act of Congress and possesses nationally significant natural, cultural, historic, or scenic resources. The Natural Heritage Areas (NHA) program is managed by the National Park Service, but they are not national park units. Each NHA has unique goals and is independently administered by nonprofit organizations or state agencies. All NHAs are involved with establishing public/private partnerships with collaborative plans and programs focused on economic development related to promoting tourism, outdoor recreation, and public education around the themes or features of the heritage areas. Collectively NHAs have leveraged over $55 million in investments in regional economic development focused on natural and cultural heritage resources and tourism. Volunteers have committed nearly a million hours of service in support of the NHAs. The National Park Service assists the NHAs with technical and educational assistance. The Partnership for Gulf Coast Land Conservation is a coalition of local, regional, and national land conservation organizations (private non-governmental) that coalesced efforts in the aftermath of the 2010 Deepwater Horizon oil spill catastrophe to conserve land critical to maintaining and restoring healthy ecosystems in the coastal region of the five states along the Gulf of Mexico. Member organizations work with private landowners and communities to protect the most important natural resources and landscapes that distinguish the Gulf Coast region. Over the past seven years, since coming together for collaborative action in the immediate aftermath of the April 20, 2010, catastrophic Deepwater Horizon drill rig explosion and resulting discharge of nearly 135 million gallons of oil into the Gulf of Mexico and its shorelines, the 25 organizations composing the Gulf Partnership have protected thousands of acres of sensitive coastal habitat which helps restore the natural resources that were damaged by the oil spill. Partner organizations work with private landowners, local governments and public natural resource agencies to conserve the land and waters that border the Gulf - rivers, bayous, estuaries, and wetlands. Protected areas help improve both the quality and quantity of water entering the Gulf which in turn improves the health of the entire Gulf ecosystem. In the Deepwater Horizon aftermath, federal and state agencies worked with BP and the other responsible parties to establish three programs that allocate more than $15 billion to restore the economy and the environment of the Gulf of Mexico region: 1) Gulf Environmental Benefit Fund; 2) Gulf Restoration Trust Fund; and 3) NRDA Programmatic Damage Assessment and Restoration Plan. The three programs have similar environmental restoration goals and have identified restoring habitats and protecting natural resources as priorities. The Gulf Coast Restoration Council's Comprehensive Plan underscores collaborative and large-scale, ecosystem-level thinking. The Gulf Partnership land conservation organizations produced a comprehensive "Land Conservation Vision for the Gulf of Mexico Region," which presents a collaborative strategy identifying highest priority conservation focus areas in the region. The plan calls for cooperative land conservation action to sustain and revive the region's ecosystems and environmentally-based economies. Members of the Gulf Partnership benefit from frequent communications and information exchange, organizational capacity building, access to grant funds for designing land conservation projects, and combined advocacy for public policies and interface with local, state, and federal decision-makers responsible for oversight of environmental and economic recovery from the oil spill. The Partnership and its 25 member organizations have protected more than 30,000 acres of critical habitat on the Gulf Coast in the past few years. Through a generous donation from the Knobloch Family Foundation, the Partnership has been able to make matching grants to land trusts to protect many beaches, marshes, and forested uplands across the region. The Gulf Partnership and its member organizations are poised to protect thousands of additional acres in the coming years. National Fish and Wildlife Foundation (NFWF) announces funding for 21 new projects from the Gulf Environmental Benefit Fund (GEBF). habitat restoration of marshes, oyster reefs and barrier islands. See full list of funded projects, on the GEBF website. America's Longleaf (www.AmericasLongleaf.org ) is the collaborative public/private effort that actively supports range-wide initiatives to conserve and restore longleaf pine ecosystems across the southern U.S. See its Strategic Priorities and Action Plan for 2016-2018, which details where priorities should be placed and identifies what actions should be taken to advance the long term goal of restoring millions of acres of longleaf pine. The Longleaf Alliance (longleafalliance.org) is a nonprofit organization dedicated to saving and restoring the longleaf pine forest ecosystem that once dominated 90 million acres across its historic range--the coastal landscape from southern Virginia to east Texas. The Alliance ensures a sustainable future for that ecosystem through landowner assistance, public and youth education and outreach, and partnerships forged among foresters, ecologists, wildlife biologists, landowners, and land managers. It provides information and assistance crucial in managing and restoring longleaf pine forests for their ecological and economic benefits. Shortleaf Pine Forest Restoration initiative (www.shortleafpine.net ) is a collaborative effort for restoration of another major forest ecosystem of the southern U.S., which once covered 70-80 million acres and has experienced a 50% decrease over the past 30 years. See the Shortleaf Pine Restoration Action Plan. Southeast Climate Science Center (globalchange.ncsu.edu/secsc ) is a public-private collaborative program providing scientific information and tools that land, water, wildlife, and cultural resource managers and others need to anticipate, monitor, and adapt to climate change and ecologically-driven responses at regional and local scales. In particular the SE CSC works with the six Landscape Conservation Cooperatives in the southeastern U.S. (Appalachian, South Atlantic, Caribbean, Gulf Coast Prairie, Gulf Coastal Plains and Ozarks, and Peninsula Florida LCCs) to identify climate change information and resources needed by resource managers, including physical and biological research, ecological forecasting, and multi-scale modeling. We can Abundance North Carolina (www.abundancenc.org ) is an exciting local initiative in central North Carolina that is bringing people together for locally-initiated and supported solutions to economic and climate change challenges affecting small towns, rural communities, and farmland owners. It is successfully creating stronger local economy and adaptive approaches to promote rural land and community sustainability. Abundance serves as a fiscal sponsor and offers technical assistance for a wide range of projects related to its mission. Environmental Education - Conservation Begins at Home - We're all in this together. We cannot succeed in protecting the environmental health of our planet nor of our communities if we do not work for solutions together. One of our website readers recommended this interesting source of ideas and inspiration for general interest: www.improvenet.com/a/backyard-environmental-education . Why Is Environmental Education Important? Environmental education is the process of learning about the environment and issues that could cause it harm. As you learn about possible threats to the environment, you can then learn about things you can do to help the planet and your home community. Natural Resource Conservation Service (www.nrcs.usda.gov/about ) is the most comprehensive public agency source for assistance and guidance in land conservation and best management practices for farmers, ranchers, and forest landowners, and the general public. NRCS helps private landowners develop and implement natural resource conservation plans on their properties. ​ The NRCS produced a short documentary presenting the interesting story of North Carolinian Hugh Hammond Bennett and the beginnings of America's land conservation movement and origins of the U.S. Department of Agriculture's Soil Conservation Service, which later became the Natural Resource Conservation Service. It looks at the origins of soil conservation in the U.S., from the Dust Bowl and the Great Depression to the establishment of a permanent agency to help the nation recover--an inspiring reminder of why private lands conservation is so important, now and into the future. WATCH. Southern Environmental Law Center (www.southernenvironment.org) is the premiere environmental defense and advocacy organization based in and focused exclusively on the South. The 30-year-old nonprofit organization, with 80 attorneys in 9 offices in 6 southern states, works in partnerships with other groups to champion and defend clean water, healthy air, clean energy, forests, rural countryside, mountains, coastal environmental resources, wildlife, and special natural places. SELC is currently working on more than 200 active cases and issues to strengthen environmental policies and laws. Earth Justice (www.earthjustice.org ) is a nationwide nonprofit environmental law organization (based in San Francisco, CA) that fights for environmental justice and a healthy world. It has only one office location in the southern U.S., in Tallahassee, FL, which focuses exclusively on protection and defense of Florida's waterways. Wild South (www.wildsouth.org ) advocates and champions for defense of biodiversity, natural and wild places in the southern Appalachian mountain region, particularly on public parks and national forests. 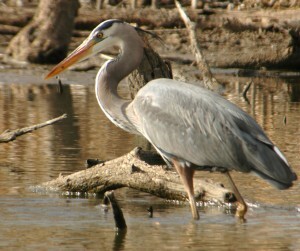 and the great heron feeds.